Would recommend to: People who enjoy funny characters, a good plot and badass fightscenes. Bad Book Review: Again, I care more about the gay ship than the main ship. Review type: First part is spoiler free, second part contains spoilers. When do I read Lady Midnight? 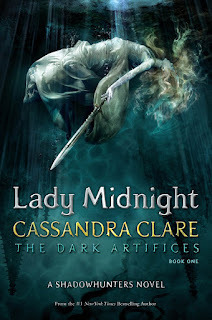 Before I get into the review I first want to say this: you should DEFINITELY read Lady Midnight after you read The Mortal Instuments and The Infernal Devices, but especially The Mortal Instruments. If you don't, you will be spoiled about some massive plotlines, which would be a shame. 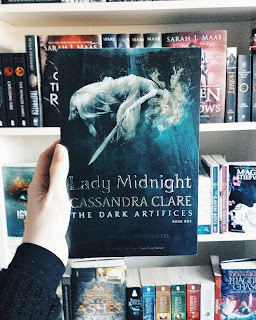 You also won't be familiar with some characters in Lady Midnight, which is also why I recommend you reading The Infernal Devices first. Like I said before, I thought this book was absolutely amazing. 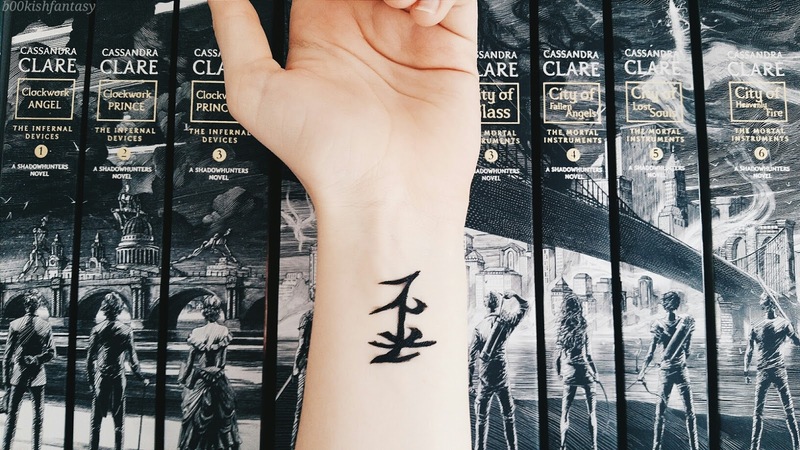 We follow a very loving Shadowhunter family: the Blackthorns. Quite a lot has happened to this family and their oldest (at home living) brother Julian is taking care of them at the LA Institute, together with his Parabatai Emma Carstairs. 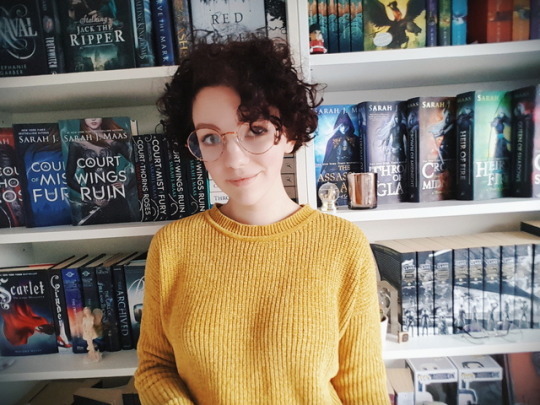 I really loved the Blackthorns and Emma, they are all so special in their own way, which makes every character so interesting. Our main characters are Emma, who is straight up hilarious, but in the mean time a great warrior and her Parabatai Julian, or Jules, as Emma calls him. He is an artist and such a loving and incredible brother. Julian has been through so much and has really become a father to the younger Blackthorns, it was beautiful to see how much he cared about them like a parent would, even though he isn't even an adult himself. The storyline was amazing, though I do think this book could have been about 100-150 pages shorter. If you don't count the short story in the end, which follows the characters from The Mortal Instruments, it's 668 pages. That's a lot. Still I don't know which parts I would have left out, because even though it was long, it wasn't boring, it was just very slow...I don't know, does that make sense? I did think it took a while for the story to really start. The beginning and whole introduction to the story dragged on a bit. 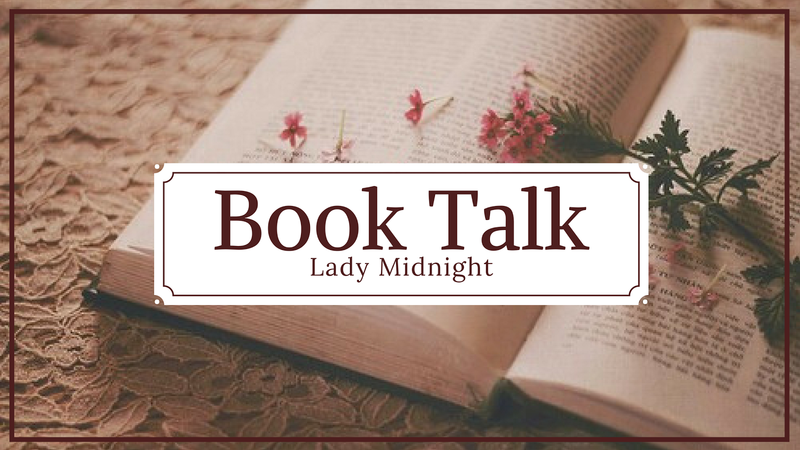 If you haven't read Lady Midnight yet, you really should, it's amazing and you certainly won't be disappointed. I will be going into some spoilers now, so I recommend you read the book first and then return, because you should have the full experience out of this! 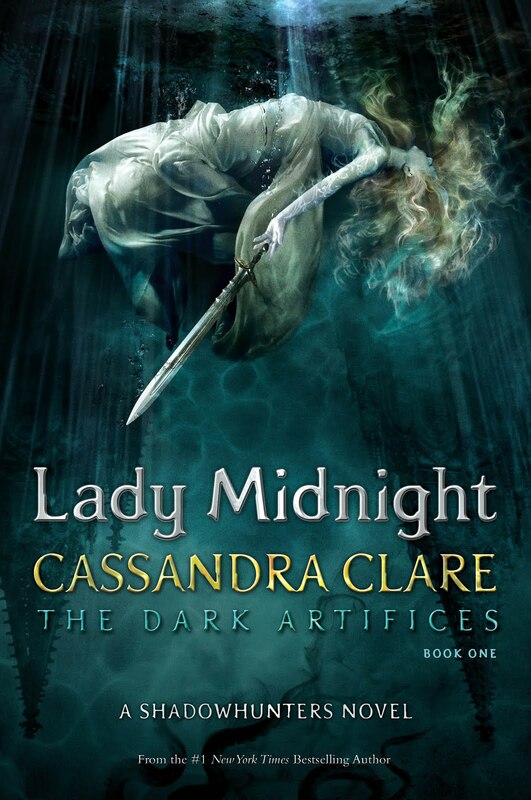 The first thing I really liked about Lady Midnight was how much they are going against the Clave. Ugh I just hate the Clave, they always speak about Downworlders being bad and all, while acutally think they are the problem. They go against the Clave on the technology aspect, which they use a lot in this book. There are cellphones and computers, I really liked that, because it makes the characters more relatable. 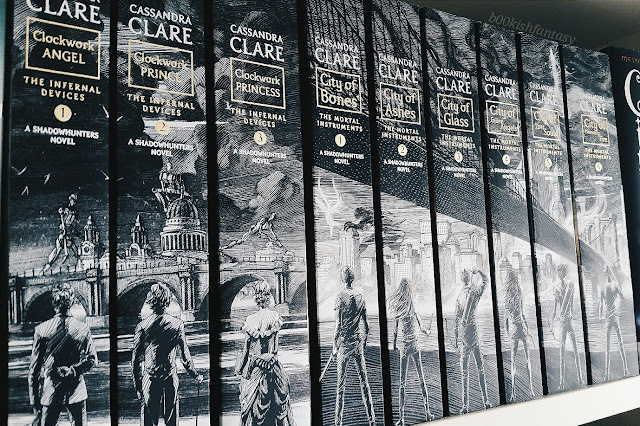 They go agaist the Clave by investigating the murders that are happening in Los Angeles AND work with the Faeries at the same time, which goes against the Cold Peace. I honestly just think the whole Cold Peace thing is ridiculous, really. Yes the Seelies and Unseelies sided with Sebastian, but not ALL Faeries should pay for that. It's stupid. Even the Blackthorn motto goes against the Clave. ''A bad law is no law.'' GREAT. I loved that the main downworlders in this book were Faeries. We've had Werewolves and Vampires and Warlocks, but never really Faeries, which is a shame to me, because I actually think they are the most interesting. I don't know why but I'm so interested in the whole Wild Hunt, I could literally read an entire book written by Cassie with stories of the hunt and Gwyn. I just generally loved to see what happened to the Shadow World after The Mortal Instruments and Sebastian being dead and I LOVED the appearences from earlier book characters. Magnus, Clary and Jace made a little appearance in the end and we learn that Magnus and Alec adopted two children and that Simon and Izzy are getting married. It made me so happy. I also loved the little Jem parts. We all know I'm desperately in love with Jem Carstairs. He uses his cat Church to send Emma presents, which I think is the most adorable thing ever. He was also at their Parabatai ceremony, because being Parabatai is very important to him and he wanted to be there for Emma and Jules *brb crying*. Talking about Jem, I NEVER expected that Kit Rook is actually Christopher Herondale OMG. When they were saving him at the end of the book I was just like wait what is happening. I can't wait to see more of him and Jem and Tessa their involvement in Emma and Kit their lives. I just think it's so sweet that Jem is so honourable to take care of future Heronadles because of Will. How can anyone NOT love Jem. Let's talk about the romance in this book now, starting off with my favorite ship in this book: Mark and Kieran. Oh my god. When Kieran is suddenly kissed Mark in the yard of the Institute I was like wait what is happening is Mark gay. I had no idea. Despite Kierans betrayal, I still love them together and I actually understand why he told them what Mark had done. Mark was the only thing that made the Wild Hunt tolerable for Kieran and he was afraid to loose him. I read that little snippet Cassie shared from Lord Of Shadows about Mark, Kieran, Magnus and Alec all being in a room together and I was like IT'S ALL MY FAVORITE GAY SHIPS TOGETHER IN A ROOM. Now about Emma and Jules. I really don't know how to feel about them together. Everybody seems to ship them so desperately and I just don't really feel it. I like them together, but not that much...I don't know. Their loves feels kind of forced to me like: oh look we're Parabatai and we're in love and we can't be in love oh no what do we do now...It doesn't feel real to me. Now about the most important thing in the book: the murders and the Guardian. I really, really, really hadn't expected the Guardian to be Malcom. I thought he would be the Magnus of this book and I liked him a lot BUT MY FEELING WERE BETRAYED. Hints were dropped throughout the book, but I didn't catch them and I had literally NO idea it was him. I really liked that final battle between him and Emma, though I know for certain he is not dead. This book was hilarious and had some amazing quotes in it, so I would like to share some of those with you.